The main difference between first person point-of-view and third person point-of-view is who is telling the story. In first person point-of-view the narrator is a character in the story while in third person point-of-view the narrator is someone not in the story. The third person point-of-view narrator knows everything. The narrator can travel through time, see people’s thoughts, and travel to different locations to tell what is happening in two places at once. A first person point-of-view narrator can only tell what he/she sees, hears, and thinks. The Brooklyn Nine by Alan Gratz is a good example of how a book would change if the point-of-view changed. Basically, the story as it is would be impossible. The book starts in the 1840's in Brooklyn, New York. There are nine chapters, called innings, just like a baseball game has nine innings. 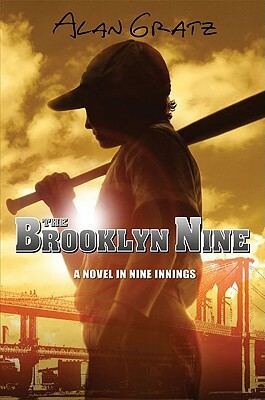 The first chapter is a full story about a boy named Felix who loves baseball and plays on the streets. Then he is injured in a fire. The second chapter is all about his son, Louis, a Union soldier. The third chapter is all about Felix’s son, Arnold. This pattern continues from parent to child all the way through history to the present time in chapter nine. In order to travel through 170 years of history, the book must be told in third person point-of-view. Actually, I guess it could be first person point-of-view, but there would need to be nine different narrators, a new one for each chapter. I really liked the last chapter, the ninth inning. Bits and pieces of the eight previous stories all come together. The third person narrator tells all about previous events so readers can see how they fit together. Now that I think of it, I guess if each chapter was told in first person point-of-view, then readers would still know that stuff. But to me it makes more sense to have a third person narrator who has traveled through time and “seen” all of the events. 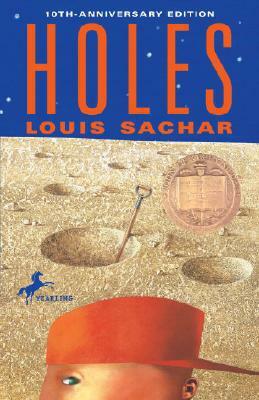 Holes by Louis Sachar is also told in third person point-of-view. The narrator not only tells us what happens to Stanley, but readers also learn about his no-good-dirty-rotten-pig-stealing-great-great-grandfather, Madame Zeroni, Miss Katherine, Sam the onion man, Trout Walker, and other characters in the past. If Holes was told in first person point-of-view and Stanley was the narrator, readers wouldn't know anything about those other characters or events. At the end, I’m not even sure Stanley knows how or why everything worked out with the curse - the mountain, the water, the song, etc. But readers do. When Zero tells Stanley his last name, it doesn't mean much to Stanley, but it is a huge “Ah-ha!” moment for readers because we know about Madame Zeroni. If it was first person, readers would only know what Stanley knows as he figures it out. Thanks for reading The Brooklyn Nine--and for talking about the decisions authors make when telling their stories!